syntaction is an electronica, chillout and space music project, founded by Christian "Chris" Knerr in 2008. The music combines wide and spherical synthesizer soundscapes with influences from all over the world. syntaction is inspired by space, connected to Earth and always open-minded finding new sounds to work with. Since this music project was founded, a costume, that visually represents the music, was always a part of the visual presentation. syntaction shouldn't be just a one man band in jeans and shirt behind a synthesizer. The music and the outfit together had to tell a complete story. And be a fitting part for the slogan "music from a distant planet". 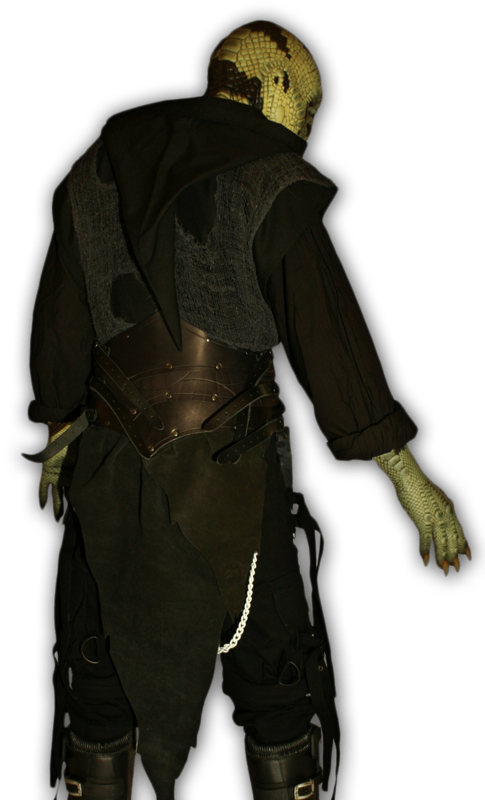 The costume represents a reptilic humanoid from outer space. Alien or Mutant, however you want to call it. The extraterrestrial looking appearance is a reference to the space music inspired side in the music of syntaction. The foundation of syntaction is based on melodic and often meditative synthesizer soundscapes, combined with influences from many different genres and stylistics. Beside the musical aspects, the founder of this project — Christian "Chris" Knerr (born 1986) — always had a big interest in the nature of sounds themselves. He is always seeking out for new inspirations and tones he can use in his compositions. The music of syntaction is always on a path of evolution. Since the first studio album Cyborg Instruments, the technical and methodical skills of creating and composing music got better from album to album. And that progress still continues. While remaining faithful to his roots, syntaction sometimes reinvents himself and loves to try out new things. This music project originated from a hobby, Chris had since his early teenage years, and it was created to share his work with others.